We design products for specific environments and uses that offer innovative functionality and remarkable protection. 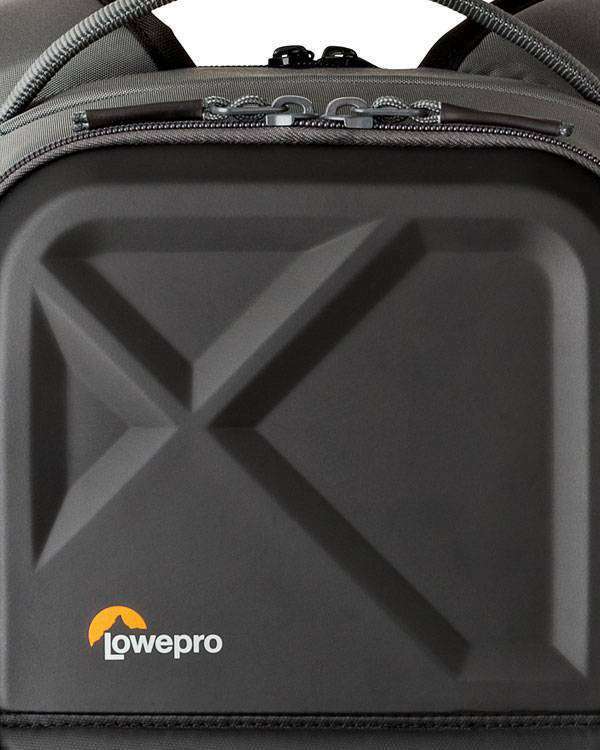 Lowepro bags are purpose-built to protect your valuable gear from impact, abrasion, moisture and the rigors of travel. 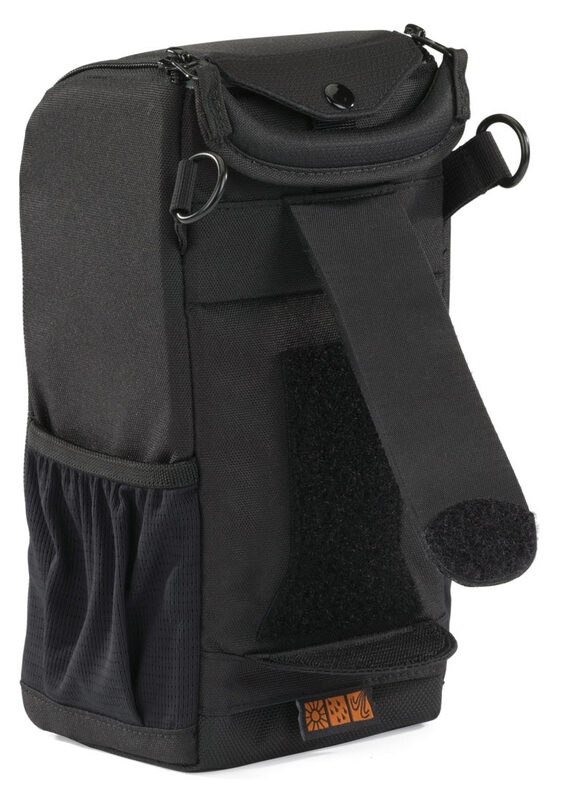 Our harness systems, shoulder straps, waistbelts, backpads and adjustment points provide long-wearing comfort. 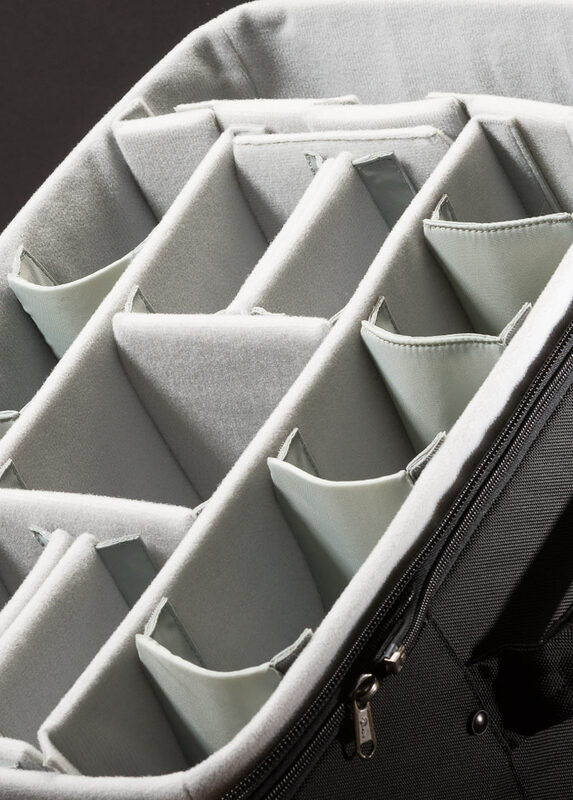 We design our interior and exterior compartments, pockets and sleeves to help optimize organization and increase workflow. 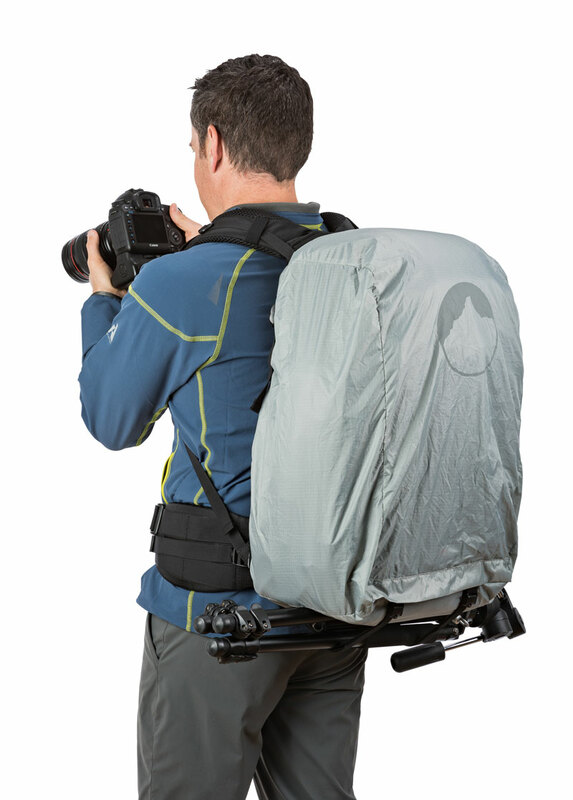 Our patented cover is like a raincoat for your gear. 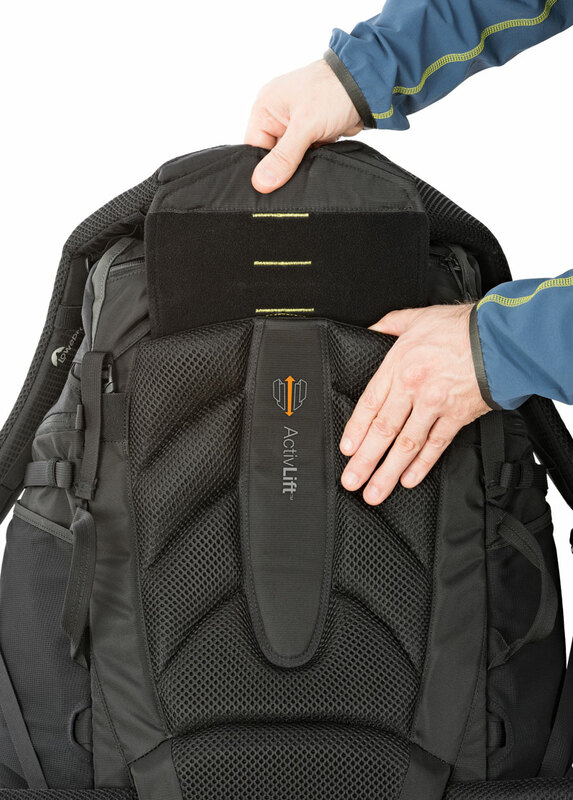 It fits snugly over a bag and you can fold it away when not needed – an innovative way to protect valuable gear from rain, snow, dust and sand. Featured products: Flipside, ProTrekker, Pro Roller x AW. Lightweight yet sturdy, composite-shell construction delivers superior impact protection on our cases and packs with the FormShell™ icon. Featured products: QuadGuard, ProTactic, Hardside. 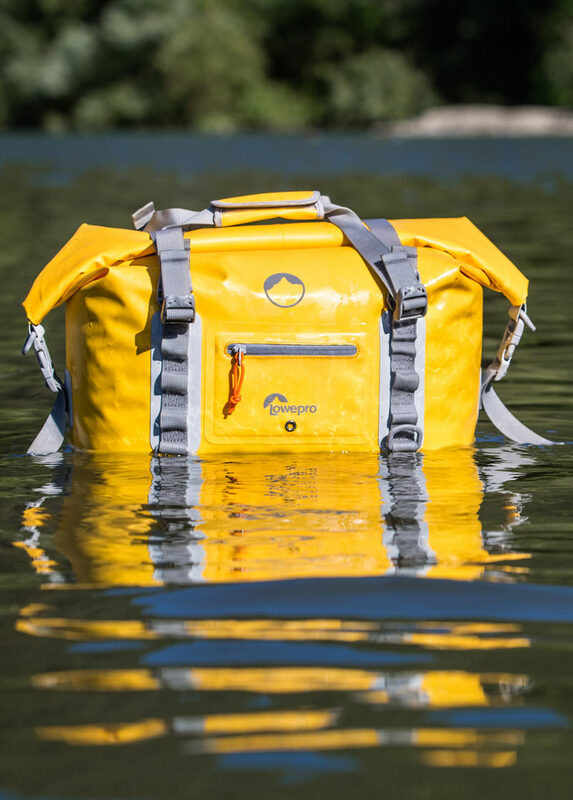 Our technical and high-performance waterproof fabrics on bags with this icon offer ratings of IPX6 to keep your gear dry from heavy seas, and IPX7 to deliver 100% watertight protection. This harness design is constructed to mimic the natural "S" curve of the back, transfer more weight from waist to hips, make it easy to fit to the length of your torso, and include airflow channels to improve breathability. 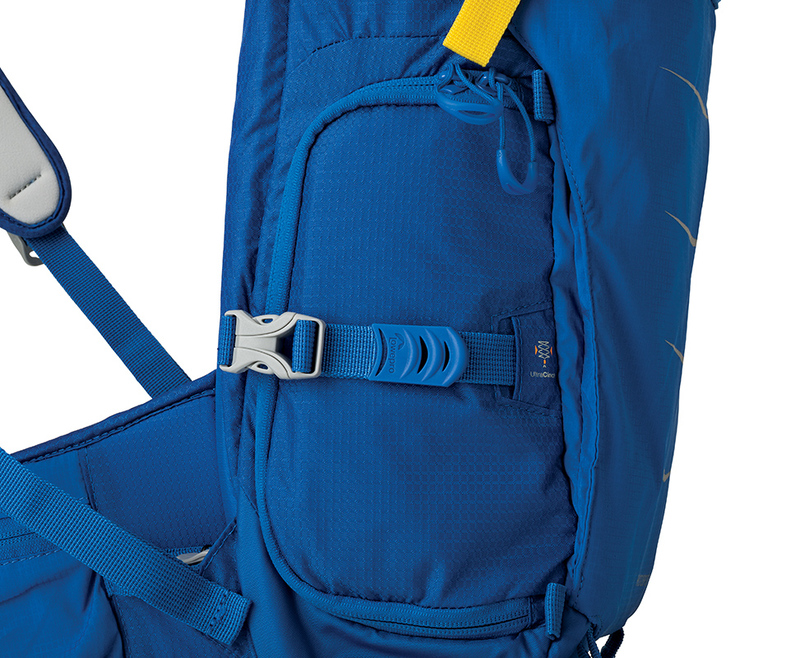 Packs with this icon feature our ActivZone System™ technology. 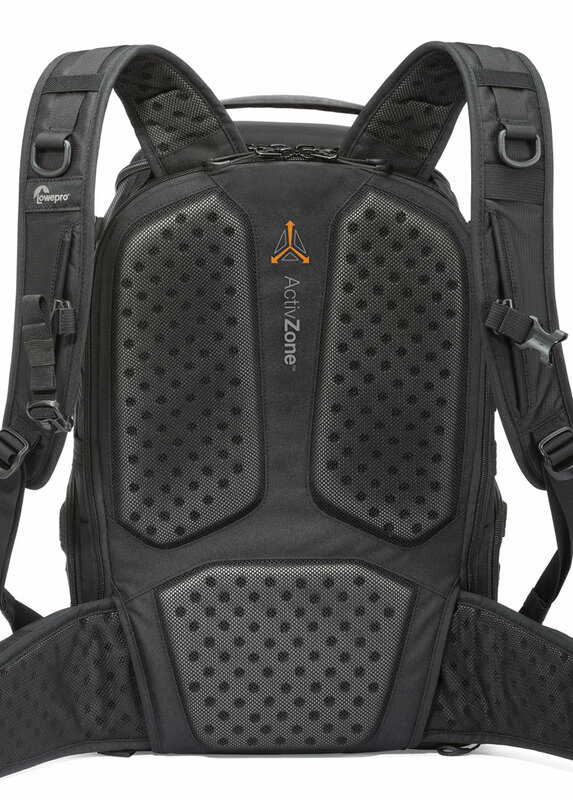 This harness delivers targeted support at shoulder blades, lumbar and waist for comfort on the move. Featured product: ProTactic, Flipside, DroneGuard. Our premium organization system employs a laminated construction to fine-tune the fitting of dividers and make it easy to maximize the volume of gear. Featured product: ProRoller x AW, Pro Runner, Pro Trekker. Our camera chambers with UltraCinch secure gear while in motion, preventing bouncing and jostling. The drawstring and toggle closure lets you tighten down for a snug and protective fit. Store your laptop or tablet in a design with this icon when you want extra protection and breathability. This cleverly constructed compartment suspends and safeguards the device within a bag. Featured products: ProTactic, m-Trekker, RidgeLine. 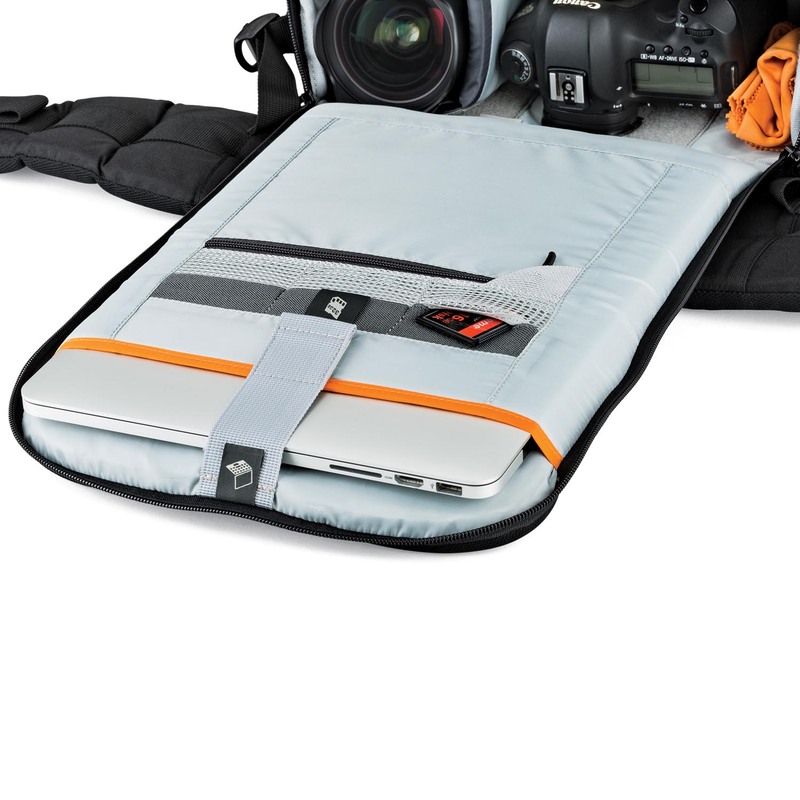 The innovative UltraFlex™ fit system offers versatile ways to fit, organize and protect camera and personal gear via the central flex divider and smaller dividers – all padded and with hook/loop fasteners for ease of use. 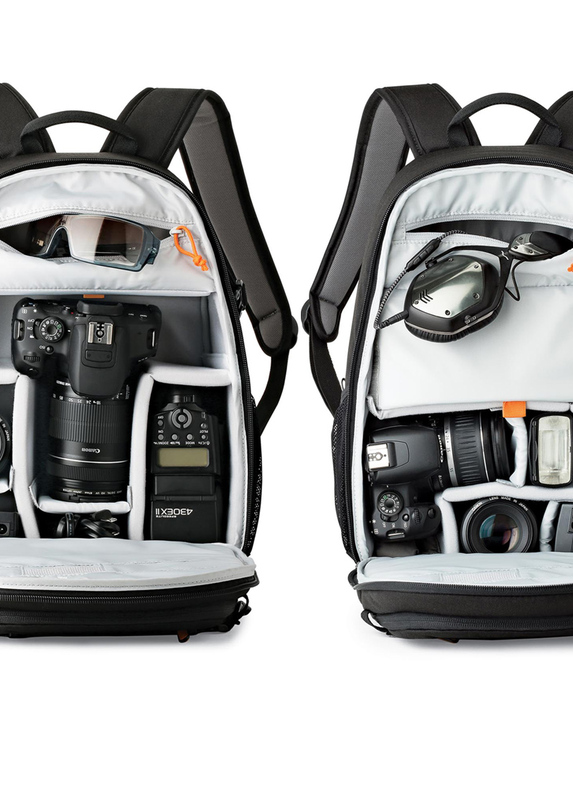 Our SlipLock™ attachment system of compatible loops and tabs makes it easy to add pouches and cases to larger bags – so you can be ready for anything and bring along water bottles, lenses, memory cards, etc. Featured products: ProTactic, Street & Field.